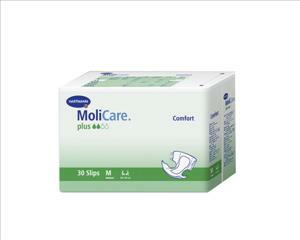 Molicare® Comfort Super Extended Capacity Briefs are designed to keep patients dry and protected during heavy overnight flows. Comfort stretch poly increases comfort and maximizes patient mobility. Discreet profile for comfort and dignity. 3-Part absorbent core for added dryness.